Sunday 24 February – 11am in Martin Place. Last year, you helped shift the NSW Government’s stance on funding for disability advocacy. 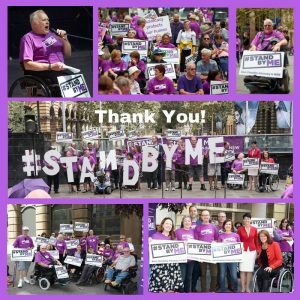 The Government was going to stop funding on 30 June 2018, but thanks to you and many others showing up at rallies, events and talking to local MPs, the Premier agreed to extended funding for disability advocacy beyond 30 June 2018. But time is running out on this stop-gap measure. Did you know that some disability advocacy services will lose their funding from as early as July this year, and others in the middle of next year? It is simply not good enough, and on Sunday 24 February, we will be rallying in Martin Place to increase the pressure on all parties to commit to ongoing funding. Your presence at past rallies made a real difference to the Government’s position on disability advocacy. Let’s do it again – and this time, bring your friends and family. With the State election only a matter of weeks away, this is the time to secure election commitments for long-term funding for disability advocacy. Our final big event before the election is a rally – Sunday 24 February from 11am to 12pm in Martin Place in the city. 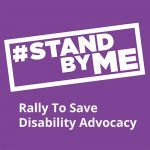 The rally will be our chance to come out in force – to show politicians and the media that disability advocacy is essential and that the people of NSW want to know that it is here to stay. The event will call on all parties to #StandByMe. We need a big turnout of people with disabilities and allies, to make our point clear and to make the media coverage (and therefore the political impact) as powerful as possible. You know it has worked before, and you can help make it happen again. Please join us and show your support, click here to register your attendance. You can also share and follow the event on the Alliance Facebook page. 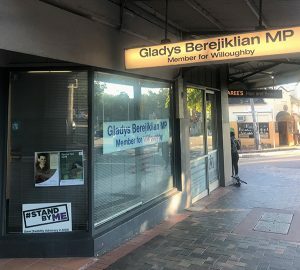 If you’re tweeting about the rally, please use hashtags #StandByMe and #JustDoItGladys. We look forward to seeing you and all your friends there!